The Microsoft Official Academic Courseware (MOAC) Office 2010 Series is the only Official Academic Course Material. The new and enhanced MOAC/ Microsoft Office 2010 Project features Enhanced Wiley Desktop Editions as well as many other enhanced features designed to re-enforce workforce skills. The addition of animated tutorials in the Enhanced Wiley Desktop Editions and WileyPLUS courses, textbooks include additional materials on different skill levels to help users keep pace. WileyPLUS and an automatic Office assignment grader provides immediate feedback on every assignment, to help users practice and hone skills at their own pace. 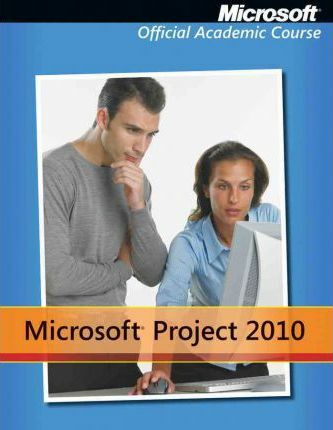 MOAC/ Microsoft Office 2010 Project is built from the ground-up around the MOS(R) certification objectives- making it a great way to learn all the workforce-oriented tasks required for certification. The Test Bank now offers greater flexibility and provides more than 75 questions and 3 projects per lesson, as well as automated grading via OfficeGrader. Furthermore, the latest edition's use of color in screen captures allows users to follow on screen much easier, as screen captures will look the exact same as the application. Additional projects throughout the book helps users comprehend how a task is applied on the job. OfficeGrader functionality added to WileyPLUS provides immediate feedback on all homework, assignments, and projects and additional animated tutorials on key Office tasks provides additional help on difficult topics.